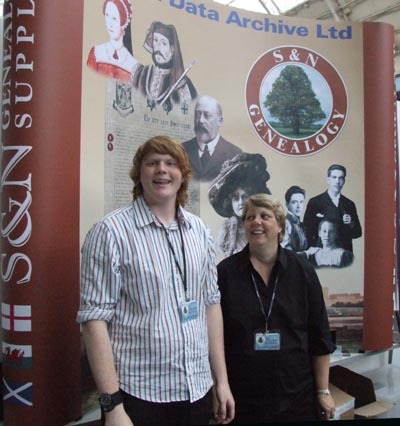 S&N Genealogy Supplies was founded in 1992 by Sue and Nigel Bayley to provide computer related products for family historians. Family historians at the time needed a fiche and film viewer to be able to view the census. It was believed to be impossible to publish this sort of information on CD-ROM, but developments in scanners and compression methods eventually meant that it was possible to publish the census on CD. This was the start of our data CD-ROM publishing business, putting hundreds of parish records, directories, poll books and, of course, census in a section of the catalogue called British Data Archive. 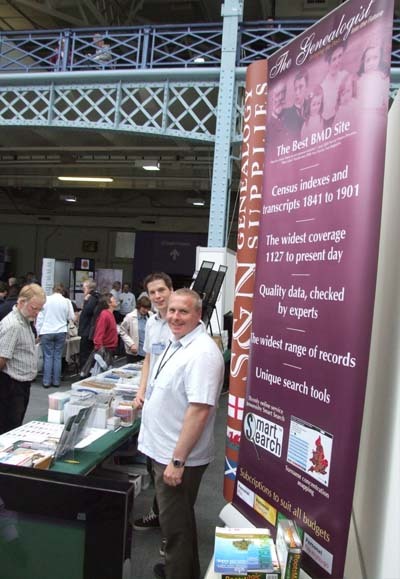 In 1999 a limited company was needed to deal with contracts with CD-pressing plants and the PRO, and so S&N British Data Archive Ltd was born and continues to trade as S&N Genealogy Supplies. BDA now has census material available from 1841 to 1901 covering England and Wales. We were the first to publish the UK census on CD-ROM and have developed techniques to improve the image quality by the use of custom software and specialist equipment. In 2006 Sue and Nigel moved to Jersey leaving S&N British Data Archive Ltd in the safe hands of their three sons Mark, David and Paul. GSJ have invested heavily providing a wide range of online data. BMDs, Census, Parish Records, Military Records, and much more. They have created new online features such as mapping, online trees, advanced search systems and sharing data. 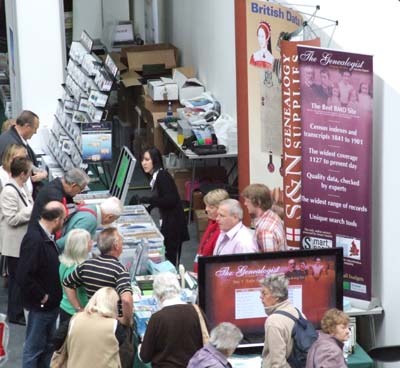 The premium subscriptions to TheGenealogist have proved very popular. New data sets are added at no extra cost to Gold and Diamond subscriptions. In 2007, working with the Federation of Family History Societies, B.D.A. 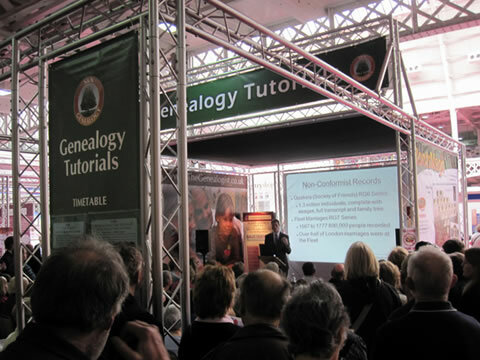 launched a new automated online Genealogy Fair website. GENfair.co.uk is the largest site of its type with over 120 suppliers and over 20,000 different products. The company has continued to grow, and have made a huge amount of resources available both online and on CD. 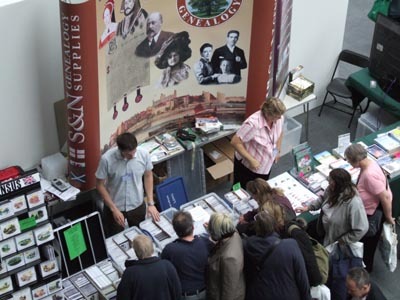 As you can see, the stand in 2007 only occupied a few tables - nowadays, as a sponsor of the event, we occupy two of the largest stands and have our own lecture theatre, which saw huge crowds for our talks. It's hard to believe that we started out when there was only one genealogy magazine and computers were so niche that they only got mentioned on the odd page or two. www.TheGenealogist.co.uk — online genealogy transcripts and indexes for BMDs, census, parish records, wills, directories, non-conformist records and much more. www.UKcensusOnline.com — For those starting out - The census and BMDs for England and Wales. www.FHS-Online.co.uk — The easy way to search society data online and for societies to publish data online. www.GenealogySupplies.com — for thousands of genealogy products, including software, books, data CDs, binders, archival storage, charts, and much more. 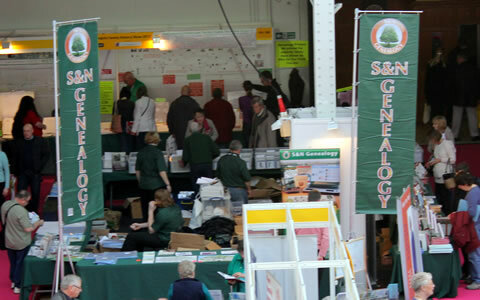 www.GENfair.co.uk — The online genealogy fair where companies and societies sell family history products.